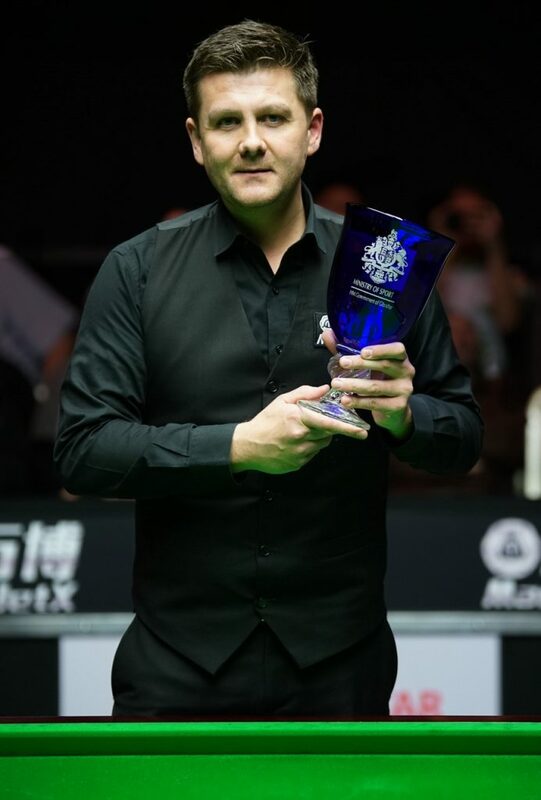 Ryan Day took 19 seasons to finally get his hands on ranking silverware, but following his ManBetX Gibraltar Open win on Sunday, the Welshman has now collected two titles in a single campaign. We caught up with Day, who also won the Riga Masters last June, to reflect on claiming his second ranking crown. Ryan, congratulations on the win in Gibraltar. Do you feel that having backed up your maiden victory at the Riga Masters with another ranking title, you will now have heightened confidence when competing at the business end of tournaments? You reached four ranking finals prior to your first victory. Do you have any regrets not getting over the line in one of those and gaining the added confidence boost earlier in your career? You are currently in 17th spot in the race to the Crucible. Having not qualified for the China Open, what stage do you feel you need to get to at next week’s Ladbrokes Players Championship to stand a chance of breaking into that top 16? “I think realistically I need to get to the semi-finals to have any chance of avoiding the World Championship qualifiers. That is obviously my first target for next week, so hopefully I can manage that and then go from there. “The qualifiers are very difficult, as it is three best of 19 matches over the space of a few days. It is pretty draining and comes right before the main event gets underway at the Crucible. You want to avoid it if you can, but I have been there and come through qualifying many times before. If I need to do it, I can draw on my experiences and I will be prepared for it. You have had your difficulties finding the right cue since your old one was broken in Thailand earlier in the season. Following your win at the weekend do you think you have now settled with this cue? You can watch Day live in action at next week’s Ladbrokes Players Championship in Llandudno. Click here to purchase your tickets, but act quickly as certain sessions are expected to sell out.